Sveta supported the expedition team ‘engine rooms’ by cooking breakfast and evening meals in her and her husband Romans’ home and prepared snacks for their lunches. She provided a home from home, even washing their dusty clothes. The team’s quad bikes and fuel were stored in containers outside and Roman’s tracked ATV was used to move the larger equipment. Sveta is a chairman of local “spoon-billed sandpiper’s friends club”. 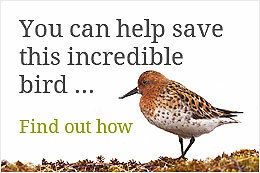 She implements community monitoring of spoon-billed sandpiper population and environment in Meinopilgyno. She has been in this role from the 2001, when the first ornithologist expedition arrived here. Without her support we could hardly have made this expedition possible. Sveta is really fond of this cute bird.